Just signed up to be notified when it releases. Cant wait. Ok, Bart. Thanks for the info. I finally saved up enough money to get a 1000mm X-carve. I want to purchase it with the X-controller so should I wait until the x-controllers available and order all at once. Or could I get the X-carve minus the current motion controller kit and power supply and then just get the X controller when it comes out? Is there going to be a bundle savings on the X-controller? My thought is that I can get started building the x-carve, and it's table while I am waiting for the X-controller to become available. The X-Controller will be an option for X-Carve. We don't know when it will be available. We are a little frustrated with our extruder on this project. We received sample extrusions off the tool that were perfect, but production parts are still in process. Here is a another teaser photo of the inside of a unit with the sample extrusions. That little loopback connector with the red wire allows us to test without the E-stop when the cover is not installed. I would buy this in a second. Is the built in controller an Arduino Uno, or something else? please be native pendant control. please be native pendant control. please be native pendant control. Grbl is unlikely to have a complex pendant. It currently has three pendant like functions. There is a connector on the X-Controller to access those and we plan to "exploit" that in the future. These features are also accessible via software and can be very useful. 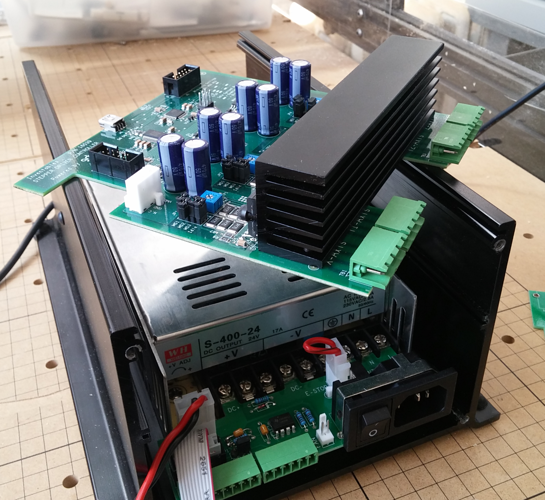 Feedhold is actually faster than an E-stop because of capacitance in the power supply. E-Stop is safer in the true emergency. Grbl Reset is an advanced feature that many people don't understand. If you feedhold a job because a bit broke, you can clear the planner and restart a job a little before where the bit broke. The machine will not loose it's place between jobs. The way to do a full featured pendant is through the Gcode sender (Easel, Chilipeppr, UGS). 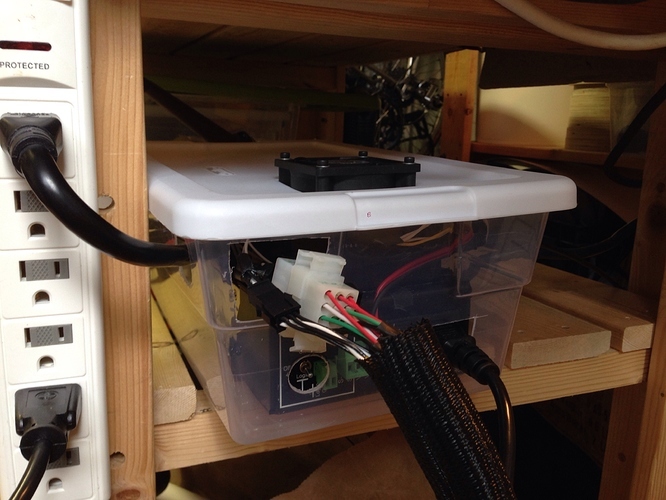 A simple one could be made with an Arduino Leonardo as a keystroke sender. Chilipeppr has an awesome one using the Shuttle XPress. Grbl is unlikely to have a complex pendant. Stupid question: What is "a complex pendant" and "native pendant control"? I don't think those have formal definitions. Here was my take on them. Complex Pendant. This is a pendant that can do advanced thing like jog the machine and zero work offsets. Native Pendant: A pendant that plugs directly into the X-Controller? A boy can still dream. I've actually made a Start/Hold/Reset pendant for my rig already, and as soon as I find the USB keypad I have around here somewhere, I'm going to try that out as a control pendant. Funny you mentioned the Leonardo though - I have one in my Box-O-Arduino stuff, and I may just have to dig it out and play around a little bit. @NAM37 - by "native," I meant the ability to somehow plug in a control pendant and have it Just Work™ without fiddling around with the aforementioned options. The more I wait for the x-controller, the more I'm getting used to my 99¢ shoebox version. Niiiiiice! I might have to borrow this idea! @DarcyBertolo The X-Controller has the connection and we have a touch probe that looks like this. Rather than a plate, we use a brass "puck"
I was waiting too, then I decided to go ahead and order just the x-carve minus the motion control and power stuff. I figured I can start building the x-carve and add my modifications in the meantime, then just order the x-controller the moment it is available. I just hope it's available soon. I'll end up paying more in shipping but I am sure there will be other parts I'll need to order anyway. Looking forward to x-controller! 1. Would there be any problems to mounting the X-Controller upside down on the underside of a table, over heating or such? 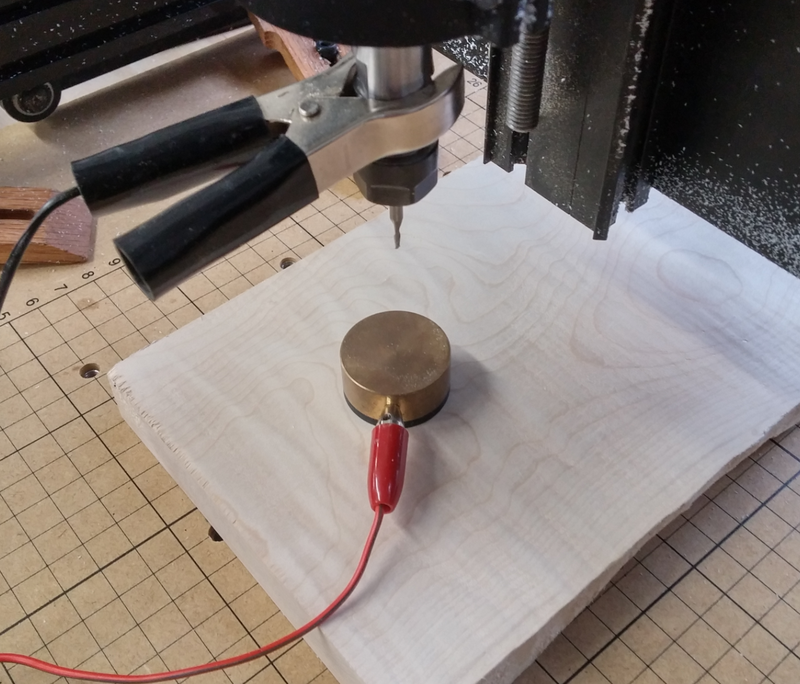 Could the emergency stop button be relocated away from the X-Carve?